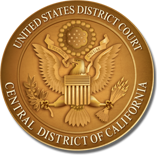 Documents may be delayed in reaching the assigned district and/or magistrate judge if the judges' initials on the document are incorrect. For a list of district and magistrate judge initials, see "Judges' Initials" which is located on the court's website. Read and keep up with changes in the local rules as well as the judge's requirements. Both can be found on the court's website. Come to court prepared, and do not send an uninformed associate to handle a proceeding. Judges expect that lawyers appearing before them are prepared and know the case thoroughly. A “simple motion to dismiss” may be converted to a motion for summary judgment at the hearing. A “simple trial setting conference” may turn into a settlement conference. Learn from your adversary. If he or she does something that impresses you, adapt it for your own work, especially if the judge or jury seemed to like it. Federal court is formal. Your formality shows the court, the jurors, the witnesses, and your client that you respect the seriousness of events. Always stand up when you speak in court. Most judges want you to go to the lectern except to make very brief statements, such as objections. Address the judge only as “your honor” when addressing the judge in the courtroom. Refer to the judge as “the Court”, “his honor,” or “her honor” if you need to refer to the judge while addressing a witness or the jury. Stop speaking if the judge begins to speak. The court reporter will take down what the judge is saying. The judge will usually give you an opportunity to finish your thought. Listen and respond to what the judge says or otherwise signals, as it may show that the judge needs evidence, argument, or explanation about a point that you thought was clear. Pay attention to the courtroom deputy clerk, who also tries to give signals to assist counsel, such as directing counsel to go to the lectern or staying out of the well. Never evade a judge’s question. Answer the question, then explain -- not the reverse. Ask permission before entering the well area of the courtroom. Never speak directly to your opponent unless you first get the court’s permission to confer, and then confer quietly. Confer quietly with witnesses before you put them on the stand. When you speak aloud, it should only be to address the judge, to question witnesses on the stand, or to address jurors in voir dire, opening statement or closing argument. Documents submitted to the court should be proofread by the signator for spelling errors, for formal compliance with the rules, and for case citation accuracy. Each judge receives stacks of papers to read every day. The party that is clear, direct and concise is the one that may frame the issues in the judge's mind. Never resort to snide remarks or name-calling about the opposing counsel or his client, orally or in writing. If the circumstances are such that you must make personal remarks about an opposing counsel, speak very objectively, describing factually what he or she did. Inquiries that cannot be resolved by reviewing the local rules can be made to the courtroom deputy clerk assigned to the judge. Do not call chambers unless requested or authorized by the court to do so, as it can be construed as an ex parte communication.